Bee swarms occur in the spring, when bees divide and make a new colony. 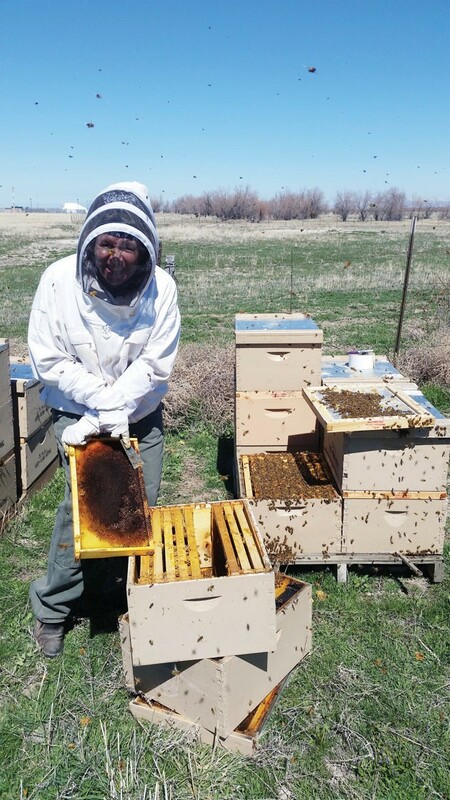 Beekeeping is a growing hobby here in the Tooele Valley. 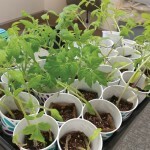 Last week, we took a look at how insects overwinter. How they do so is quite interesting, when you think of their short lives, small size, that they are completely dependent on outside sources for heat, and their absolute exposure to the elements over winter. As warm-blooded creatures, humans carry our own weather with us to a certain extent. The insect world can only prevail through frigid temperatures by overwintering in a form (such as an egg or nymph) that is specially adapted to hibernation, or finding a heat source or shelter to provide protection while it waits out the cold. The honeybee is remarkable in that while each individual is cold-blooded, they collectively do something that is rare in the insect world — create long-term shelter and generate heat. A single bee, or even a cluster of a couple hundred bees, is incapable of producing honey, pollinating flowers, or sustaining its own life for that matter. Each bee has very short life, but the colony lives on. In fact, a good way to think about the honeybees’ hive is as a single, larger being. While it is populated with workers, drones and a queen, it takes a combined effort from a very large amount of individuals to exist and thrive. A queen can live for five to seven years, reaching her egg-laying prime about year two. In the spring and summer, she will lay upwards of 2,000 eggs a day. A small percentage of those will turn out to be drones. The vast majority will become worker bees. A full-fledged hive population, at the peak of honey production, is estimated to be anywhere between 50,000 and 80,000 bees! The worker bees live somewhere around a month, so the queen must constantly replenish them with new hatches. One author attributed metaphorical organs and body structures to the bee colony. The forager bees, which feed the hive, are compared to a mouth. House bees that fan air and ventilate the hive are likened to lungs. A reproductive system can be seen in the swarming behavior of bees when they want to split off a new colony. Even growing tissues could be compared to the new honey and wax that is generated in the hive. And, like any complex and durable creature, the hive can flourish for many years. In fact, it could live indefinitely with constant renewal of the hive population, new queens being reared by the colony as needed, and the constant harvesting, storage and use of resources the hive needs to continue. So, how do they make it through the frigid winter? First, they need a space to live in that has the right attributes. It needs to be the right size for them to occupy. 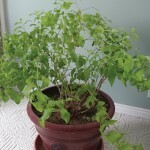 Too large, and it becomes impossible to maintain optimum temperature and humidity. Sizable spaces also very difficult to defend and maintain. Other insects, such as wasps, ants and even other “robber” honeybees from other colonies have to be fended off. Mice also find the inside of a bee colony very attractive. So, access to the hive must be restricted to the size that the bees can guard. Most beehives are cultivated, and placed on stands. This can make the hive an easy target for skunks, raccoons, and bears. Raising the hive a bit, and putting spiked boards in front of the hive can help deter smaller animals. Bears? Anything short of a well-designed electric fence is futile. Fortunately, we’ve not had a bear problem to deal with around here. Next, the hive temperature needs to be maintained. If the bees had no way to generate heat, then eventually the inside temperature would match the outside. But bees will keep the inside of the hive right at 94 degrees Fahrenheit year-round! How do they do that? In the summer, the hive is cooled by fanning, clustering outside the entrance (this is known as bearding), and evaporating water. In the winter, it’s heat that is needed. Bees can generate a significant amount of heat by flexing their flight muscles repeatedly. They stay in a cluster in the middle portion of the hive, consuming honey stores as the winter progresses. My beekeeping friend Dave Weber describes this behavior as “bee spooning” — they stay very close in the cold, slowly rotating from the center of the cluster to the outside edge and the outside in. But all this activity to generate heat takes an energy source — the stored honey and pollen in the hive. To make it through the winter, the colony must have an adequate mass of bees (about half of the peak summertime population), adequate stored honey (or supplemental sugar syrup or cake), and hive ventilation to keep fresh air in the hive space and to allow moisture to escape. It’s this last factor that many a beekeeper has overlooked. In the wild, bees live in gaps in rock faces, as well as spaces such as hollows in trees and downed logs. None of these will be sealed up tight, even when it is frigid outside. The bees will create a manageable entrance and paths into the colony, but there will be other small openings that allow air to move slowly through the spaces between the combs. Why? If it’s cold outside, it would seem to make sense that the better you seal the hive, the warmer it will be. While that may be, warmth is only one of the factors. The other is humidity. The metabolism of the clustered bees creates quite a bit of dampness. Water vapor will stay in a gaseous state as long as it’s warm. Once it contacts a cold surface, it will condense droplets of water (the effect seen every summer when you put a cold beverage in a glass and set it in the open air). It’s this condensation that is especially challenging to the bees. It’s one thing to be in a dry, cold environment. Let water start dripping from the underside of the hive lid into the interior of the hive and onto the bees, and it’s all but over. What can the beekeeper do? If the hive can be kept less cold for longer, the bees inside will consume a smaller amount of honey and pollen stores to create warmth with. The hive can be wrapped with a dark material, such as tar paper, to help the hive warm up a bit on sunny winter days. Keeping wind out of the entrance by reducing it or sheltering it will help. An insulated lid or exterior foam side panels will hold in more heat, too. Then, to avoid having condensation form inside the hive, several practices can be used. One approach is to slightly prop up the front edge of the lid by putting small pieces of wood (like popsicle stick sections) on the front corner of the top bee box and placing the lid back down. This creates a small gap that keeps out intruders, but allows vapor to wick off. For those that use insulated tops, a channel is cut to a small port to the outside. Others will drill a small hole, less than a half-inch, in the sides of the bee boxes, below one of the handle grips. These higher exits are handy for water vapor to escape, for “cleansing flights” on sunny winter days (you didn’t think bees messed in their own home, did you? ), and as an alternative “door” should the lower main one be blocked by snow. Some beekeepers use a “quilt” to absorb moisture and provide insulation. This is a tall frame, the same outside dimension of the main hive body. The frame bottom is covered with metal window screen and then coarse cloth, such as burlap. The frame is then filled with loose wood chips, and then covered with the hive top. This is a method I intend to try in the next year or two. 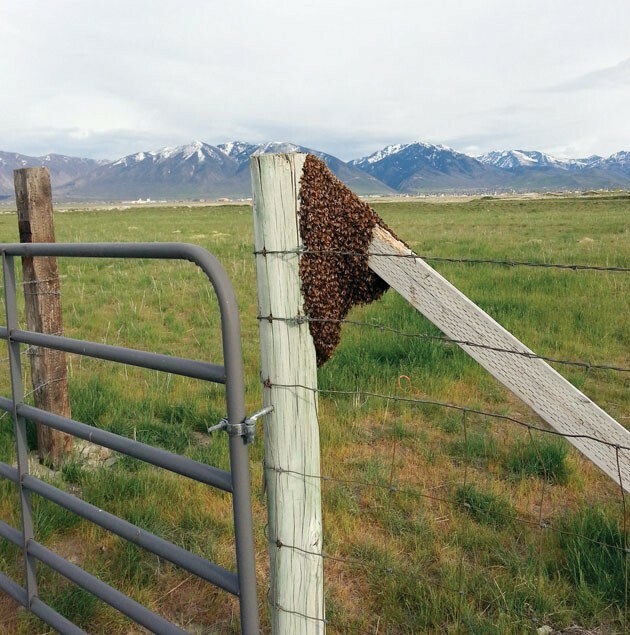 If this is all intriguing to you, join us at next week’s Tooele County Beekeeper’s Meeting. It’s the last meeting of the season, but we’ll get you some great resources to read over the winter and get you prepared to start a new adventure come spring. We’ll meet on Wednesday, Nov. 9, at 7 p.m. at my place. 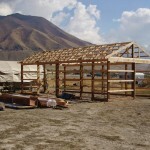 Visit facebook.com/tooelecountybeekeepers and ask to join the group. You’ll get more information for next week’s meeting and beekeeping practices ongoing. Sweet! — literally.